What if we are on the brink of a new Ice Age? This is the question that haunts climatologist Jack Hall (Dennis Quaid). Hall’s research indicates that global warming could trigger an abrupt and catastrophic shift in the planet’s climate. The ice cores that he’s drilled in Antarctica show that it happened before, ten thousand years ago. And now he’s warning officials that it could happen again if they don’t act soon. But his warning comes too late. It all begins when Hall witnesses a piece of ice the size of Rhode Island break off the Antarctic Ice Shelf. 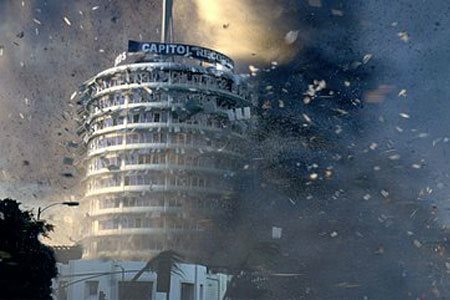 Then a series of increasingly severe weather events start to unfold around the globe: hail the size of grapefruit batters Tokyo, record-breaking hurricane winds pound Hawaii; snow falls in New Delhi, and then a devastating series of tornadoes whips through Los Angeles. A phone call from a colleague in Scotland, Professor Rapson (Ian Holm), confirms Jack’s worst fears: these intense weather events are symptoms of a massive global change. Melting polar caps has poured too much fresh water into the oceans and disrupted the currents that stabilize our climate system. Global warming has pushed the planet over the edge and into a new Ice Age. And it all will happen during one global super storm. 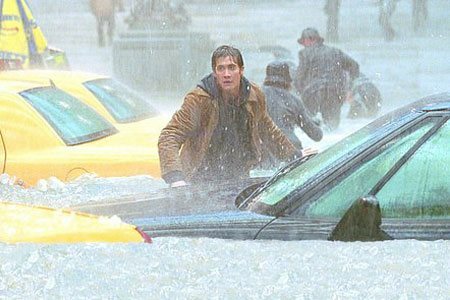 While Jack warns the White House of the impending climate shift, his 17 year-old son Sam (Jake Gyllenhaal) finds himself trapped in New York City where he and some friends have been competing in a high school academic competition. He must now cope with the severe flooding and plummeting temperatures in Manhattan. Having taken refuge inside the Manhattan Public Library, Sam manages to reach his father by phone. Jack only has time for one warning: stay inside at all costs. 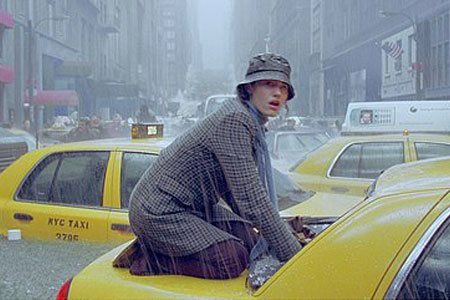 As full-scale, massive evacuations to the south begin, Jack heads north to New York City to save Sam. But not even Jack is prepared for what is about to happen – to him, to his son, and to his planet. 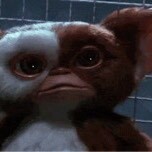 In INDEPENDENCE DAY Roland Emmerich brought you the near destruction of the earth by aliens. Now, in THE DAY AFTER TOMORROW the enemy is an even more devastating force: nature itself. 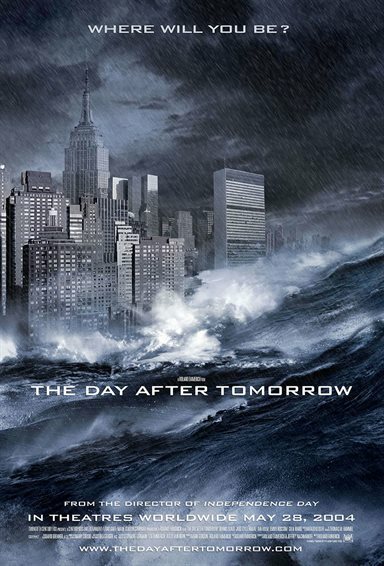 Download The Day After Tomorrow in Digital HD from the iTunes store. 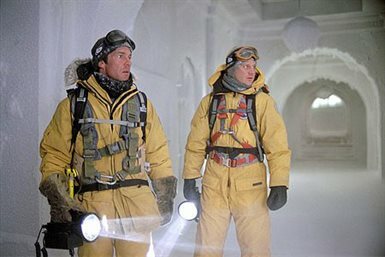 The Day After Tomorrow images are © 20th Century Fox. All Rights Reserved. 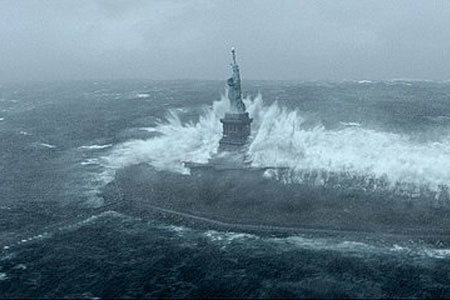 The Day After Tomorrow images © 20th Century Fox. All Rights Reserved. Worthless movie. If you never saw it pass and head straight for 2012.